Liberally lubricate the cylinder walls, piston rings and piston skirts with engineoil. Note:The piston is directional and must be installed in the engine block in the properdirection. The dot on the top of the piston must face the front of the engine. Select the correctly numbered piston/connecting rod assembly for the cylinder. 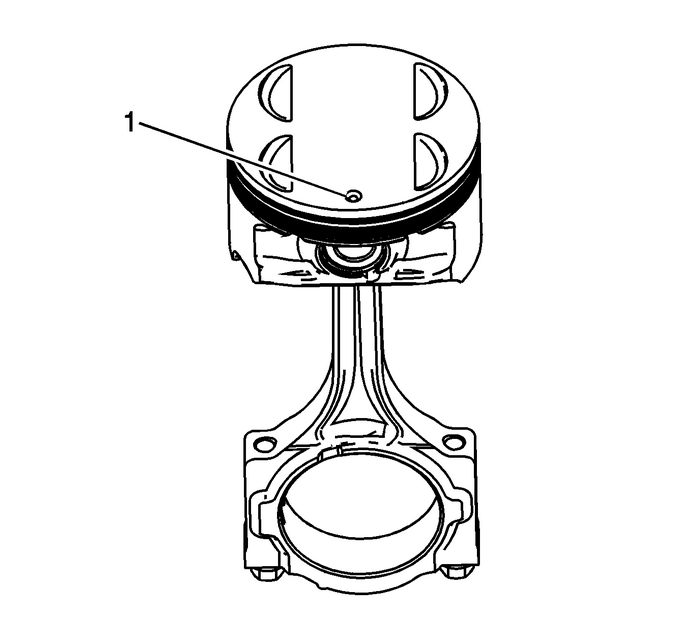 A dot-(1)showing proper piston orientation is located on the top of the piston. Install the connecting rod bearing into the connecting rod.Install the EN 46121 pin setinto the connecting rod bolt holes.Compress the piston rings using the EN 8037 compressoror equivalent. Note:Extreme care must be used when installing the piston and connecting rod in order tobe sure the rod does not scrape or nick the cylinder bore, the oil jets, or the crankshaftsurfaces. Using both hands, slowly guide the piston and connecting rod assembly into the cylinderfrom the top and bottom of the cylinder. DO NOT allow the connecting rod to contactthe cylinder wall.When the EN 8037 compressorcontacts the deck surface, gently tap the piston into the cylinder using the handleend of a dead-blow hammer. Guide the connecting rod onto the crankshaft bearing journalusing the EN 46121 pin setwhile gently tapping the piston into the cylinder with a soft-blow hammer. Note:Connecting rod bearings that have been run in an engine should NEVER be reused. Before final assembly it is important to check the clearance of the new connectingrod bearings. Place a length of fresh, room temperature plastic gaging material all the way acrossthe connecting rod bearing journal.Install the connecting rod bearing into the connecting rod cap. 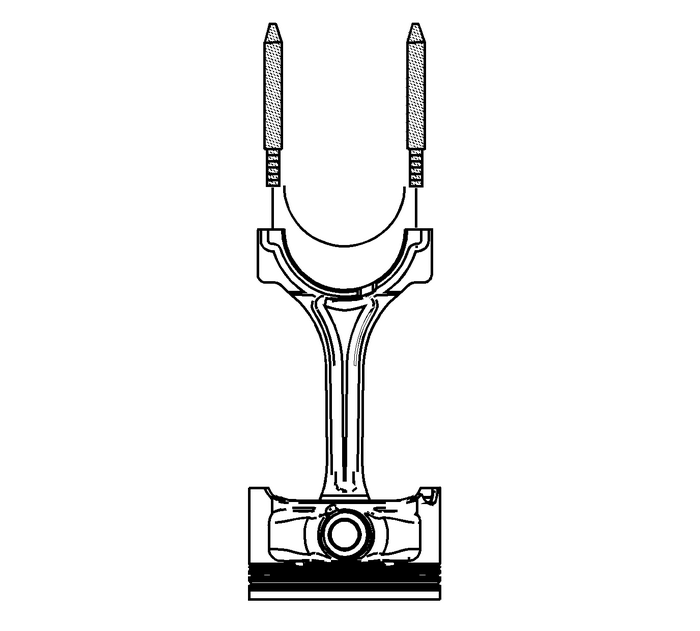 Note:The connecting rod is non-directional therefore the connecting rod bearing lock tangscan face inboard or outboard. 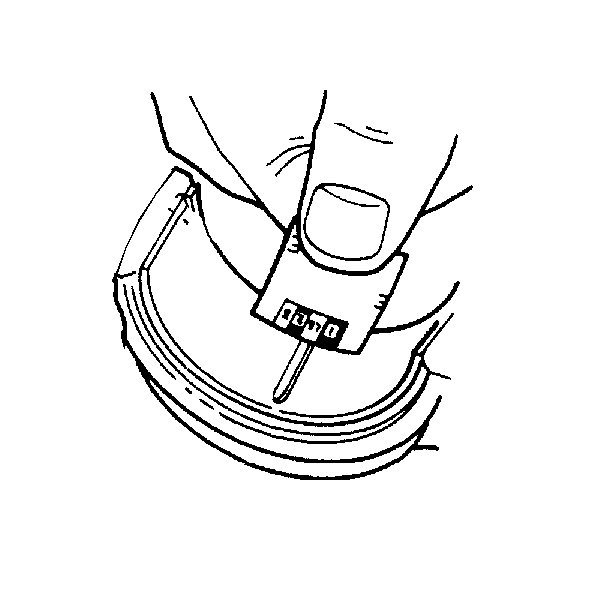 Install the connecting rod end cap on its original connecting rod and ensure the bearinglock tangs are aligned on the same side of the rod. Caution:Do not lubricate the NEW connecting rod bolts. The NEW boltshave a pre-applied graphite lubricant. Applying lubricant to theconnecting rod bolts will effect the clamp load when the connectingrod bolts are torqued. Improper clamp load can lead to componentfailure and extensive engine damage. Note:Reuse the old connecting rod bolts ONLY for measuring the connecting rod bearing clearance. Tighten the connecting rod bolts to 25-Y (18-lb-ft). Tighten the connecting rod bolts an additional 110-degrees using the EN 45059 meter. 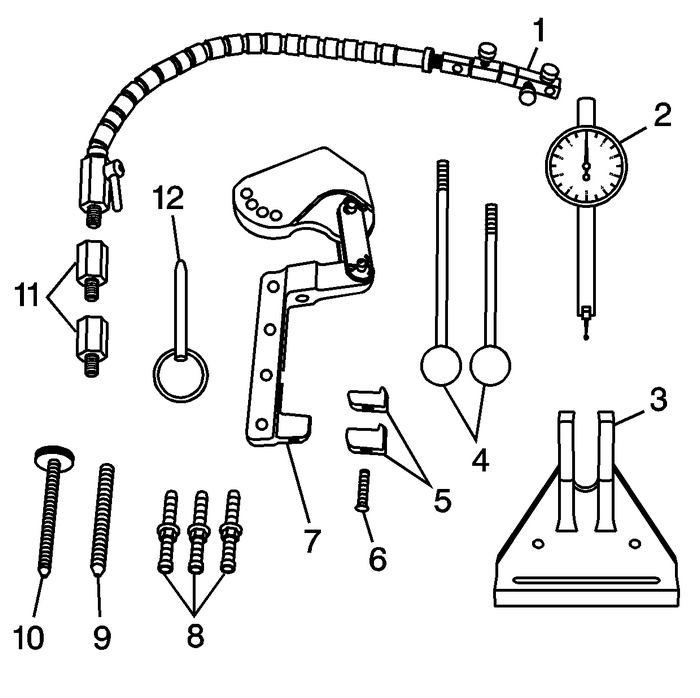 Allow the assembly to sit for at least 2-minutes.Remove the connecting rod cap bolts.Remove the connecting rod cap. The EN 43690-A checking toolhas been developed as a more accurate method to measure connecting rod bearing clearances.The instructions below provide an overview of tool set-up and usage. For more detailedinformation, refer to the tool instruction sheets as supplied by the tool manufacturer. Install the connecting rod bearing into the connecting rod cap. 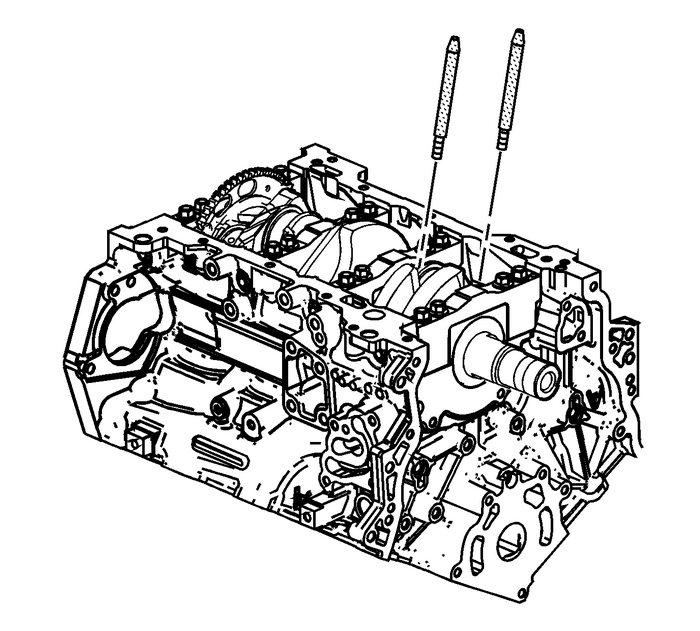 Rotate the crankshaft until the crankshaft journal and the connecting rod to be measuredis in the 12-o'clock position. 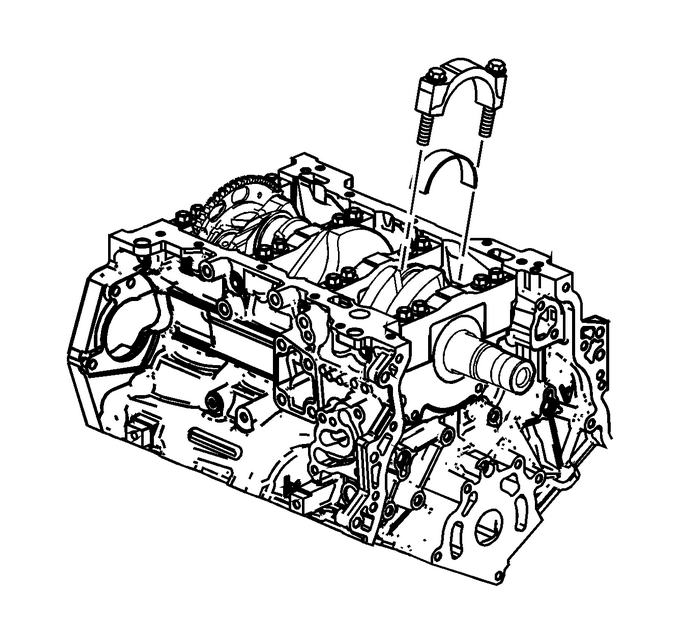 Note:The crankshaft must be secure with no movement or rotation in order to obtain an accuratereading. 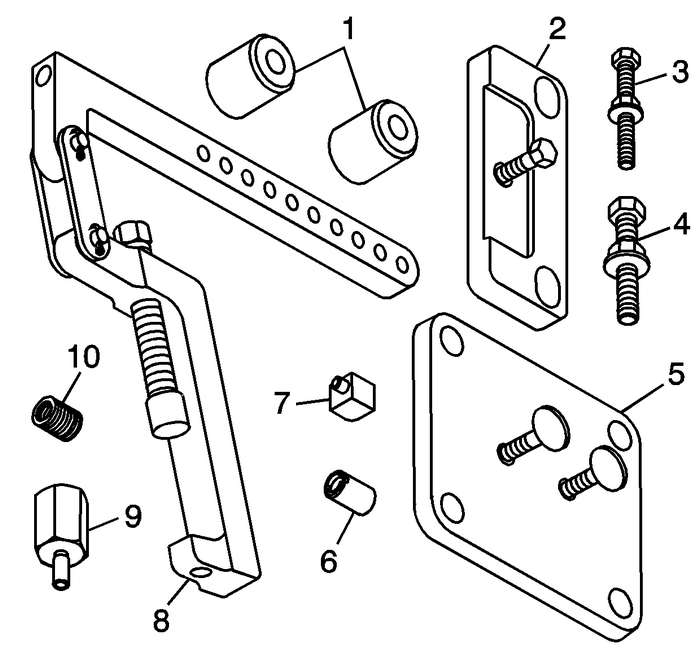 Remove the crankshaft main bolts required to install the retainer plate EN-43690-105. Note:Do not allow the EN-43690-105 retainer plate screw to contact the reluctor ring. During and after installation, ensure each piston is positioned properly in the correctcylinder. 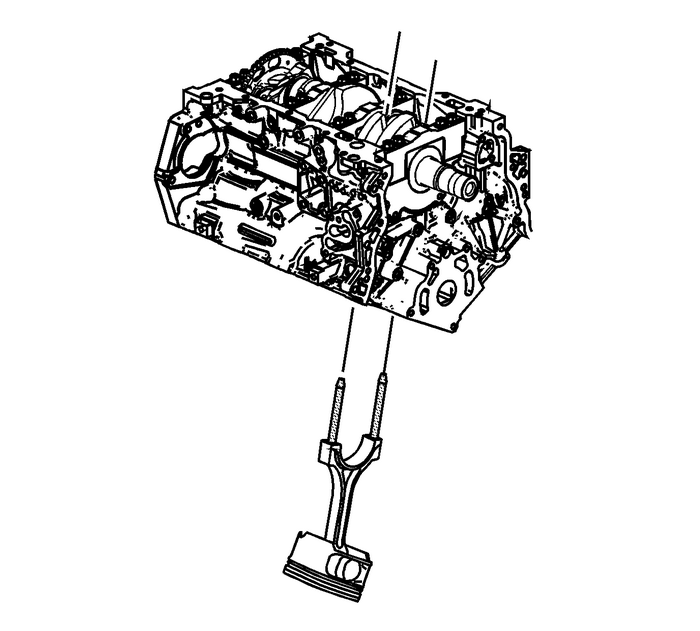 The locating arrow on the top of each piston must be pointing toward thefront of the engine.Repeat these procedures for the remaining piston/connecting rod assemblies using theEN-48589 socketin order to rotate the crankshaft.Connecting Rod Final Assembly ProcedureGuide the connecting rod away from the crankshaft connecting rod journal in orderto lubricate the crankshaft connecting rod bearing journal.Apply a liberal amount of crankshaft prelube or clean engine oil to the crankshaftconnecting rod bearing journal. Refer toAdhesives, Fluids, Lubricants, and Sealersfor recommended lubricant.Guide the connecting rod to the crankshaft connecting rod journal.Install the connecting rod end cap on its original connecting rod and ensure the bearinglock tangs are aligned on the same side of the rod. During and after installation, ensure each piston is positioned properly in the correctcylinder. 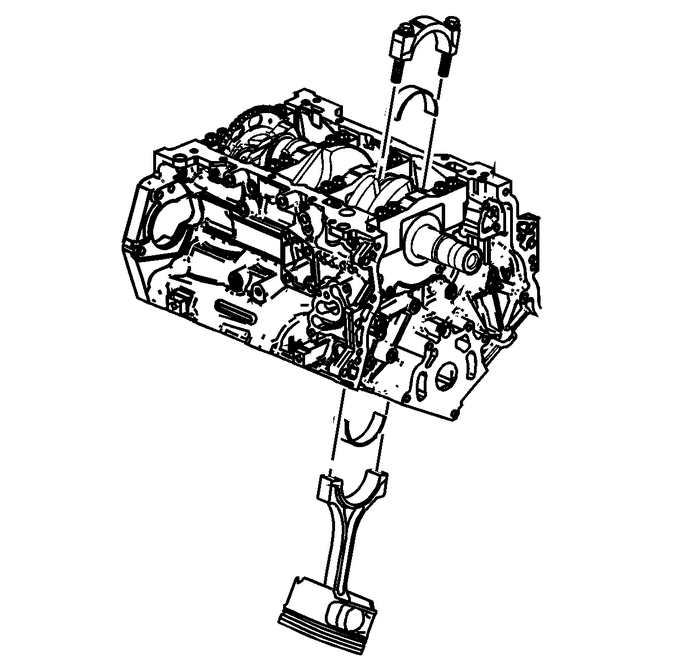 The locating arrow on the top of each piston must be pointing toward thefront of the engine.Repeat these procedures for the remaining piston/connecting rod assemblies using theEN 45059 meterin order to rotate the crankshaft.